The pain that is associated with endometriosis can be one of the most severely debilitating pains for a woman to deal with. This is because it interferes with her daily life and does not let her conduct her daily activities without some form of pain. Endometriosis pain can occur at any time of the month, unlike menstrual cramps that will only occur at the time of menstruation. The pain can be associated with ovulation, or the pain of adhesions, or it may be caused by inflammation of the pelvic areas, and the woman may suffer excruciating pain during a bowel movement, or when she is urinating. Worst of all is the emotional impact that endometriosis pain can have on the woman, because she can feel the pain, but no one else around her can see it or experience it, and most of the time, they may not understand the pain, and may give off the feeling that the woman is simply making it all up. She can take drugs that deal with pain and inflammation at the same time, but of course, only with the advice of her doctors. As always, drugs for any symptoms must be taken in moderation, and if she can do without them, it would be for the best. Today, the GnRH class of drugs has becoming more widely prescribed and used to control the pain of endometriosis. GnRH is in other words, ‘Gonadotropin Releasing Hormone’, and these drugs are capable of altering hormone levels so as to give a simulation of menopause, thereby alleviating symptoms immediately. When this happens, the endometriosis implants have some time to shrink naturally, and when this happens, the woman will find great relief from her pain. The method of trans-cutaneous electrical nerve stimulation has also become popular in recent years, and this method involves using electrical impulses to stimulate nerve endings at or very close to the site of pain, and leaving in its place a pleasant massage like feeling. Massage therapy is a great pain buster, and this is a completely natural pain reliever, even when the woman is in considerable pain because of her endometriosis. Aromatherapy is another natural method, and this works excellently because it produces endorphins, or the ‘feel good’ hormone. This can be used alone, or in combination with massage. 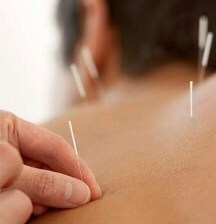 Similarly, acupuncture treatment is known to relieve the pressure and stress of pain, as does yoga. The pain of endometriosis can be effectively managed with a combination of one or two of the methods mentioned above, and there is no need for the woman to spiral downward into feelings of negativity and depression. Remember; pain can be managed after all. 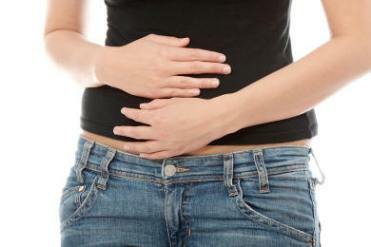 Daily pain from endometiosis. At this point, I think that is what I am experiencing. Who really knows for sure. I was diagnosed fifteen years ago. I had three laporoscopies performed. But now, so many years later, I am experiencing daily pain. Both of my ovaries, abdominal, bloating, leg and back pain. It’s very scary. unfortunatly, I do not have medical insurance at this time so, there is a limit as to the tests that I am able to have done. I am only “assuming” that this is from the endo and not some other type of illness such as Ovarian cancer..etc. That is the worst part. The pain I can deal with. It is the “not knowing” that is really bringing me down. I search the internet for others who have the same type of symptoms.